Added on April 19, 2019 by Kyu Young Kim. 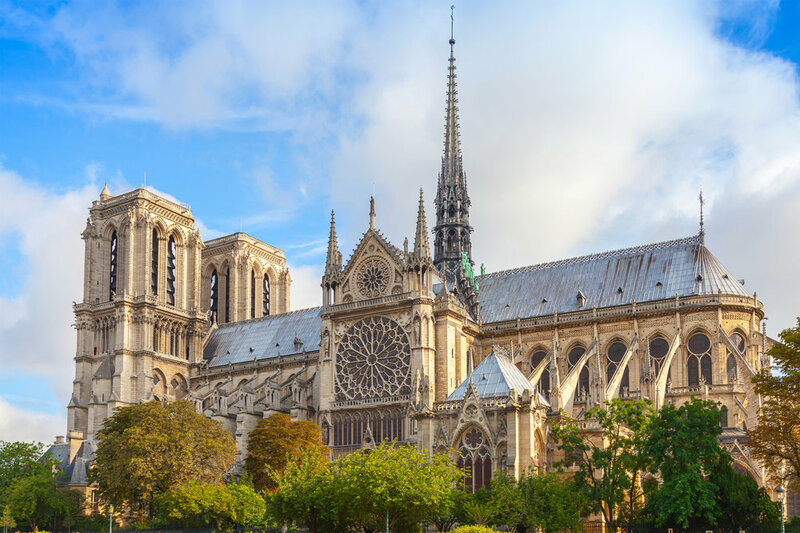 This guy’s work is going to help restore Notre Dame cathedral. Added on April 12, 2019 by Kyu Young Kim. Tickets are $8 in advance here on Eventbrite or $10 (cash only) at the door. Ticket admits one adult. 100% of ticket proceeds will support Habitat for Humanity. 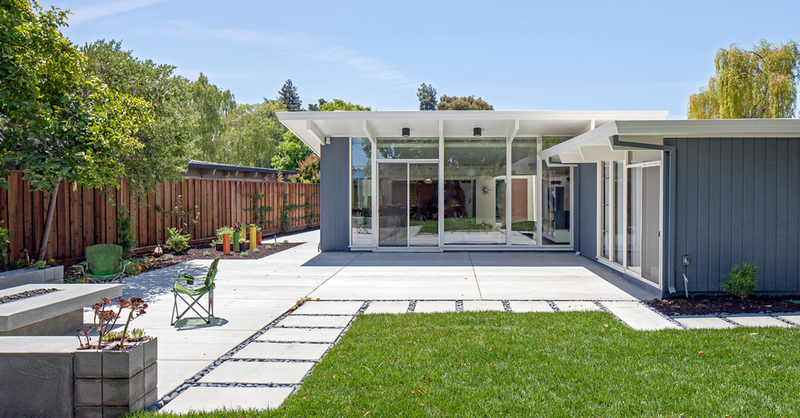 All attendees must check in at Keycon, where you'll receive an official Eichler Inspired wristband and tote bag that includes the self-guided tour map and brochure. Added on March 13, 2019 by Kyu Young Kim. 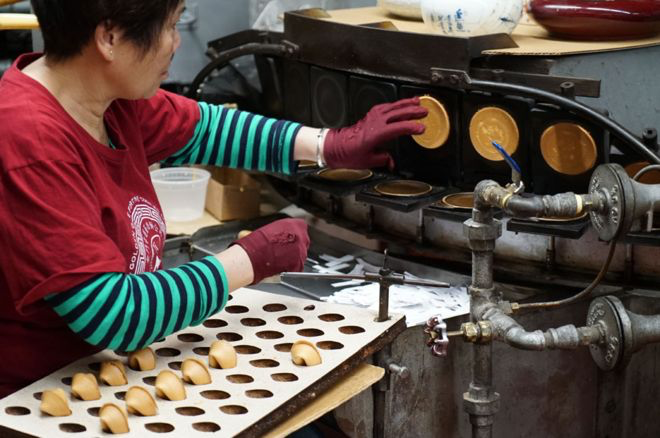 BBC News has a story on the last remaining fortune cookie factory in San Francisco. If you’ve ever seen the factory during working hours, it’s amazing how gracefully they take and fold the cookies as the machine rotates. Our Kyu Young Kim says he visited the factory while in the 7th grade! 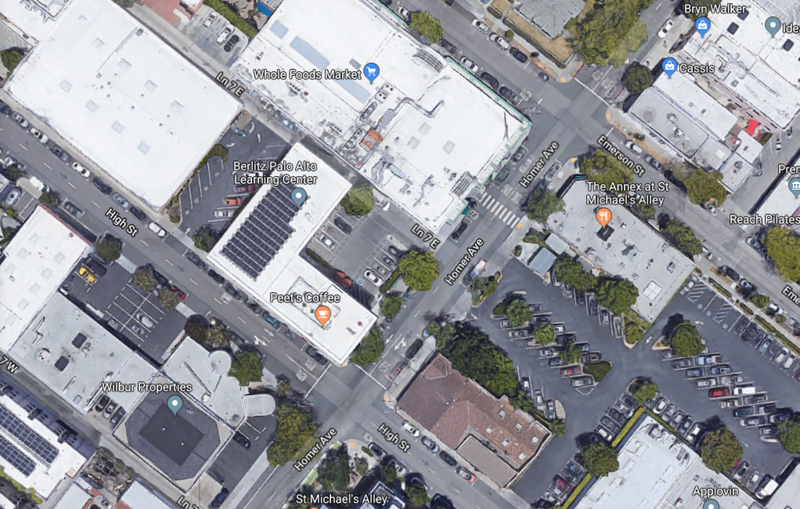 El Palo Alto – the what? Added on March 7, 2019 by Kyu Young Kim. El Palo Alto is THE TREE that the City of Palo Alto is named after. It literally means, “the tall tree”, and stands as a fixture of the city and surroundings, including Stanford, who adopted the tree as its mascot. Our office is right around the corner! Added on February 25, 2019 by Kyu Young Kim. SAN LUIS OBISPO — Three months after the Camp Fire destroyed much of the Northern California town of Paradise, Cal Poly students are working on plans intended to give its thousands of displaced residents hope for the future. Thirty-six third-year architecture students are coordinating with peers from two other universities to reimagine how Paradise can rebuild after the devasting fire killed 86 people and burned more than 13,900 homes in November. Two architecture design studios, taught by Cal Poly faculty members Stacey White and Kent Macdonald, are developing a design concept plan for a complete community of 30,000 people — from roads and circulation to determining where residential, commercial, public and other uses could be located. Paradise residents will have a chance to vote on the various options to determine which of them is developed into the final concept. At the end of the two-quarter course in June, fire survivors and others leading Paradise’s recovery effort will be able to view a virtual-reality walkthrough of their town, rebuilt and reimagined, White said. From left to right, Cal Poly architecture faculty member Kent Macdonald, and students Sophia Smith, Ryan Huddlestun and Foster Westover describe their proposed concept plan for the town of Paradise. “If I can go back to Paradise High School and give one of those students hope that this is a town they could go back to, that would be enough for me,” said architecture student Sophia Smith, from Salt Lake City, who is focused on redesigning bike paths and other ways to make the town more pedestrian-friendly. The students are also sharing their ideas with architecture students from Montana State University, who are designing a residential development for 100 families; and Chico State’s College of Engineering, Computer Science and Construction Management, whose students and faculty are researching numerous topics such as water quality and environmental issues, and the failure of the town’s emergency notification system. From left to right, Nicole Lo, Katherine Young, Nathan Chudnovsky and Sirina Law peer at a computer while working in a recent design studio class taught by architecture faculty member Stacey White. Cal Poly students traveled to Paradise in January to meet with the communities of Chico and Paradise, Chico State faculty and students, Paradise High School teachers and students, and members of the Camp Fire Long Term Recovery Working Group, which is focused on the area’s future. Cal Poly received financial support from San Francisco-based WRNS Studio for the costs associated with travel, supplies and materials necessary for community-engagement including this preliminary site visit. “It’s so heartwarming, seeing that there are people out there who want to get involved and use their particular tools to help,” said Charles Brooks, a 14-year Paradise resident who lost his home and has started a foundation, Rebuild Paradise, to assist with job creation and provide long-term support to businesses and residents in disaster-affected Butte County. Students in Macdonald’s class are also participating in a collegewide competition to help design a new sign for the town entrance in collaboration with Brooks’ foundation and a committee of community members. Cal Poly students meet with Paradise High School students during Cal Poly’s trip to Butte County in January. Paradise High students are currently studying in a temporary location in Chico. Cal Poly architecture student Sophia Smith is standing at right in the foreground of the photo. “Cal Poly students are in Central California and they want to help and give vision to our community — it’s unbelievable,” Brooks said. The students will return to Butte County Feb. 21-22 to present updates to Paradise residents, to the Long Term Recovery Working Group, and to Chico State faculty and students. They’ll visit again in April and then present their final design concepts to the community in June. “Projects like these that are rooted in resilient design thinking represent the best of what Cal Poly can do: giving students the chance to learn while they develop solutions to real and meaningful social, economic and environmental problems while also providing a community service,” said Margot McDonald, head of Cal Poly’s Architecture Department. The students are working as a class or in groups to come up with an overall plan and zoning map for the town. In addition, each student has selected a building that they believe addresses a critical community need. Each student has been paired with a professional firm that offers mentoring and peer-review of the design solutions. The backyard of a home devastated by the Camp Fire. The photo was taken during Cal Poly’s recent trip to Butte County, which included a visit to the town of Paradise. Westover is working on identifying spots around the redesigned town to locate small commercial areas near residential areas, so that future residents don’t have to travel too far for their needs. To attract new, younger residents to Paradise, the students envision more mixed-use housing and opportunities for new businesses and industries to set up shop in what has traditionally been a bedroom or retirement community. Both Macdonald’s and White’s studio classes have planned a centralized downtown to create a sense of identity and a gathering space for the town’s festivals and events. Student Katherine Young of Clermont, Florida, is designing a new town hall and courthouse that would centralize Paradise’s services and include an outdoor plaza. Added on February 21, 2019 by Kyu Young Kim. Have playgrounds gotten ‘too safe’? Added on January 17, 2019 by Kyu Young Kim. Where Homer Avenue meets Lane 7E, there is a parking lot there serves a couple businesses, primarily Peet’s Coffee. The building that looks like it has old fashioned mouse balls sticking out from it is actually a self-storage facility, hence the lack of windows on the upper majority. What it does leave, are large blank canvases, which got us to thinking… what if we turned them into something? The roof of Whole Foods provides the perfect place to set a projector and the parking lot provides the perfect place for seating as presented above. On top of all this, what if we closed off this block of Homer and turned it into an evening night market of sorts? Taverna is a fairly new restaurant that could sprawl out into the street, there’s also Saint Michael’s Alley, maybe a few additional vendors or even a food truck or two? Added on January 8, 2019 by Kyu Young Kim. As a small, but agile architecture office, one of the most critical things we do ‘in-house’ to review our work is printing. Since we’re not drafting everything by hand anymore, though we do sketch a lot, most of our line drawings come from the computer until they’re printed. Throughout the years, we’ve had a large format plotters, ditto machines, and several other wide-to-large format printers. Over the past three years, we’ve finally settled on a great ink-jet printer that we’ve been very happy with, so much so that we’ve recommended it to our peers, and even purchased the same model for personal use at home. 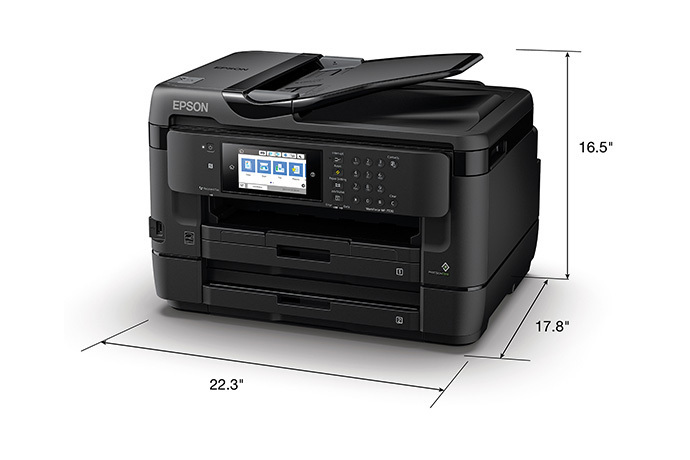 We present to you the EPSON WF 7720. *We have NOT been paid by EPSON nor asked to write a review. We are genuinely pleased and overall very satisfied with this product and are writing our honest review to share with others. One of the primary requirements we have of our office printers is that they be able to print up to 12”x18”. Why that size you ask? Because 99% of our projects and probably 100% of the projects within the past 5 years, print full size for construction at 24”x36”. Therefore 12”x18” makes for a nice 50% reduced drawing set that is easier to carry around, fits in our project binders, and is easy to print in house without needing a full on plotter. The WF 7720 can in fact print up to Super B, or 13”x19”. An added benefit of the WF 7720 is that it has multiple trays. This means you can load different size paper in each of its three trays, two primary, and one in the rear for things like envelopes. We load letter size 8-1/2” x 11” in the top tray, 12”x18” in the bottom, and run envelopes in the rear as needed. In some of the older machines we’ve used over the years where we’ve had to manually switch between different sized paper, the WF 7720 saves us time. Another major consideration for this printer is that it’s a multi-functional all-in-one machine. It can scan via tray, and traditional bed to your computer; it can fax; scan directly to USB drive or email; print from USB, print from the cloud; print from your mobile devices; etc. The benefit of scanning from the tray is that you can lay a multi-page letter document (i.e. plan check comments, structural calcs, etc.) and let it go. It can even scan (and print) 2-sided documents with ease. Though we find the EPSON WF 7720 to be ‘as good as it gets,’ we secretly do have a wish-list for down the line. We have yet to find a printer or multi-function like it that is laser. The beauty of laser printers is not only the speed (not like we’re stuck waiting for prints anyways), but the consistency of lines. Since there’s no ink cartridge moving back and forth, laser prints tend to produce straighter and more consistent line-work. If you’re going to be using it on a daily basis with a decent load of printing, we recommend opting for the higher-yield XL ink cartridges. There are four main cartridges, B, C, Y, M. For super heavy black and white printing, they even make a 254-XL black cartridge that's readily sold at local office supply stores. A combo pack of ink will run you just over $70 on average and will last you a good while. While we recommend the WF 7720 and use one in the office now, our initial discovery was actually with its predecessor, the WF 7620. Both multi-function all-in-one printers are essentially the same and have the same capabilities, even sharing the same ink cartridges, but the user interface screen and keypad bar on the newer WF 7720 can hinge at an angle or lay flat against the printer. The EPSON WF 7720 can be found at several retailers now (both online and brick-and-mortar stores) for around $200, which we consider a super steal, and amazing bang-for-the-buck. Added on January 3, 2019 by Kyu Young Kim. Every project comes with at least one unexpected incident, sometimes multiple. I would say less than half of our projects (probably even close to only 1/3 of our projects) have a soils test involved. Generally speaking, soils reports are to be expected for sloping sites, sites in known hazardous soils conditions, and when building taller than a single story. This isn’t to say soils reports aren’t important. Designing for the proper soil is critical. it will determine how your building connects to the earth and ensure your house remains level. Soils tests are important because they provide an analysis of the soils on the specific site so that the structure can be engineered to endure the soils conditions. The foundation design can be impacted by the soils report along with several other factors that could affect the overall structural design. 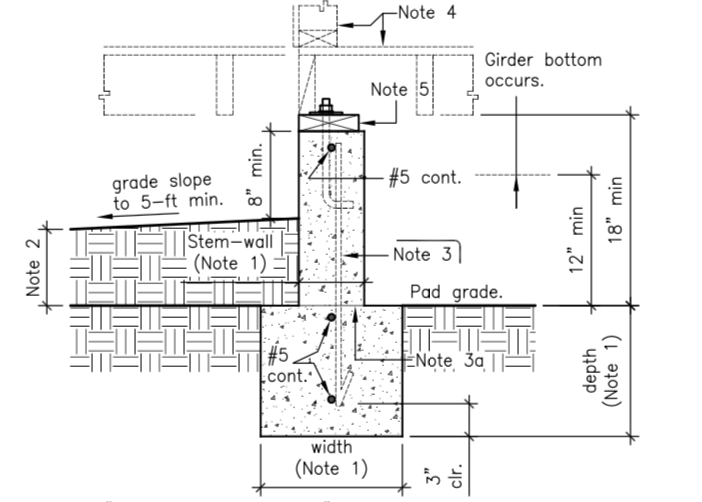 When a soils report is not required, the structural engineer will use the up to date California Building Code geotechnical specifications for the particular area and design conservatively for those found conditions. In our latest tale of unexpected circumstances, we have been designing a new single story house in a particular Bay Area city along the Peninsula. There is an existing single story house to be demolished (it’s over 60 years old) and our site is basically flat, and confirmed not be in any kind of hazardous geotechnical area. Very often the city will remind you if a soils test will be required early on in the process. For most new construction projects, there is an entitlement process that will bring up any red flags so you can plan for what’s to come. In this project’s case, we were specifically told that a soils report was not required during the planning design review, it was a surprise for us when the building department plan check comments came back and asked for our soils report. This isn’t a big deal from a design point of view – at least it shouldn’t be since the structural design is fairly conservative. It may alter the depth of the footing to be embedded, or possibly affect the concrete mix, but we most likely have already gone overboard with the assumptions. The kicker here is that soils reports take time and money. Luckily, the local building trend tends to be such that it’s not peak busy time, but it also doesn’t mean a soils engineer can go bore and write up a report in less than three weeks. Added on January 2, 2019 by Kyu Young Kim. teamLab (f. 2001, Tokyo, by Toshiyuki Inoko) is an interdisciplinary group whose collaborative practice seeks to navigate the confluence of art, technology, design, and the natural world. PACE Gallery in our downtown Palo Alto is currently hosting their exhibit, “Continuous Life and Death at the Now of Eternity” through January 13, 2019. Added on January 1, 2019 by Kyu Young Kim. One of our New Year’s Resolutions for 2019 will be to blog more often and provide [hopefully] helpful articles for prospective clients. We’re going to go a little out of order, but we’d like to share what parts of the process of working with an architect entails and our take on how we do things as ACS Architects, first starting with the process of working with the city. You might think this is weird at first. Why would we have to work with the city? Though we might be the most face-to-face contact you have, we act as your liaison with the city or town that your property is in. The city lays out many We at ACS Architects pride ourselves in working with the city to obtain the proper building and construction permits required for you to break ground on your project. Working with the city takes time. Our average project in 2018, from submitting a project to the city to the time it takes for permit issuance, took about 3 months. Upon formal intake, the initial plan check turn-around is usually anywhere from 4-6 weeks. From there, subsequent resubmittals can take anywhere from 2-4 weeks for review. Of course there are exceptions: some projects require additional entitlements, while others can be approved over-the-counter. Even before formal city reviews, we work with the city to get up to speed on any updated submittal requirements and to see if there any red flags with the proposed project. Some sites have special setbacks, are located in designated neighborhoods, etc. Whatever the situation, we have experience working in many jurisdictions throughout the Bay Area, all the way up in Napa, and as far south as San Luis Obispo, and we are ready and eager to serve as your architect to make working with the city as smooth as possible. Added on December 31, 2018 by Kyu Young Kim. There’s a new Sea Ranch exhibit going on at the San Francisco Museum of Modern Art thru April 28, 2019. Added on October 19, 2018 by Kyu Young Kim. Saturday, October 20, from 1pm to 5pm, will be the 5th annual beer festival at held at Half Moon Bay Brewing Company. For more information on this event tomorrow, click here. Added on September 24, 2018 by Kyu Young Kim. Here’s a neat video from Hodinkee that shows just how the new motion faces for the Apple Watch were made. Pretty wild stuff! Added on September 21, 2018 by Kyu Young Kim. Dieter Rams has designed a lot of recognizable things in everyday life. The latest documentary featuring Rams is premiering in the Bay Area in October. For more information on the RAMS San Francisco Premiere, click here. Added on December 25, 2017 by Kyu Young Kim. Added on November 30, 2015 by Kyu Young Kim. Added on June 3, 2015 by Kyu Young Kim. Our friend John Barton who leads the architecture program at Stanford just across the way is hosting their annual Senior Show this Thursday. Projects will be on display from 4:00pm followed by a Jeanne Gang lecture at 6:30pm. Added on March 16, 2015 by Kyu Young Kim. One great shot of a great day, may be a historic event! (50th Anniversary of Ridge) the picture has such good resolution, that one can actually read each label!